June is an optimum flower planting month for annuals. Annuals are flowers that grow, bloom and die in one season. They can be started by seed or from plants available in garden centers. Annuals thrive in June’s warm soil. Flowers that have been started indoors during colder months can be safely transplanted into the garden in June. There are many colorful flowers to choose from for June planting. ‘Bright Lights’ cosmos can be seeded directly in the ground where a big splash of color is needed. This plant grows 3 to 4 feet in height and has abundant blooms of sunset orange and burnt red. It is an early bloomer with profuse flowering until frost. Full sun and moderate water are recommended for this open pollinated, heirloom variety cosmos. For white, pink and purple cosmos flowers, choose ‘Seashell Mix’. Both varieties thrive in well composted soil. 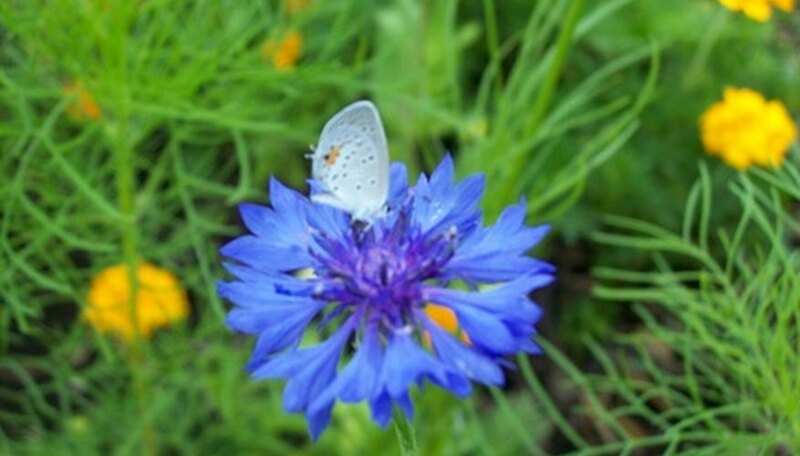 Bachelor buttons can be planted in June to yield a midsummer bloom. They are also known as cornflowers. This is an upright plant that produces abundant blue "buttonhole" flowers. 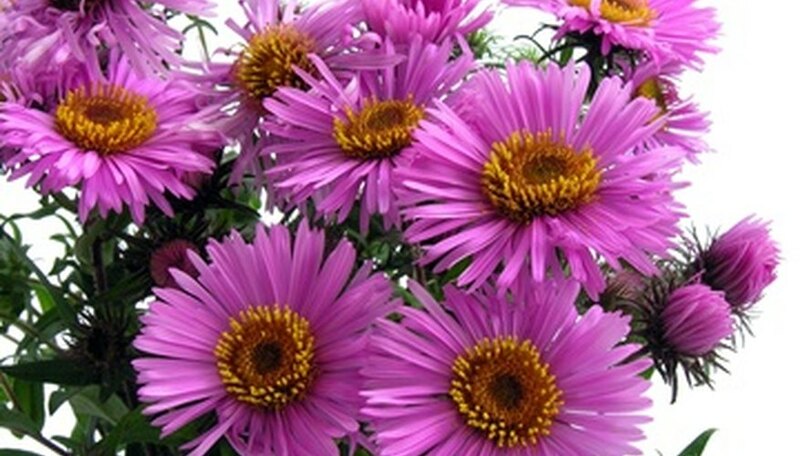 It can be planted successively for continuous bloom until fall. Bachelor button grows well in full sun and is tolerant of poor soil. It is an edible flower sometimes used in salads, and it also attracts beneficial insects such as ladybugs. Deadheading the flowers encourages more prolific blooming. Sunflowers thrive in summer's heat. Goldy Double is an heirloom sunflower variety that has been open-pollinated. It is a fully doubled, golden sunflower with wide blossoms. It grows to eight feet in height and is best suited as a background for a cutting garden. For a bright maroon sunflower, choose Evening Sun. It grows to a height of six to 10 feet and is a prolific bloomer from midsummer on. 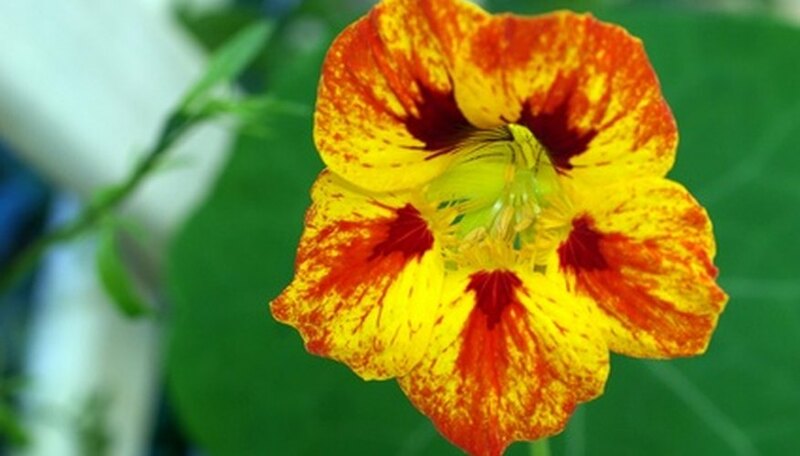 A June planting of nasturtium brings an abundance of yellow and orange flowers by the middle of summer. For an all-red mix of nasturtiums, try Mahogany. This tender annual plant grows very fast as a vine that can reach five feet in length. Nasturtium is an edible flower often used in salads. The round leaves can be stuffed like grape leaves. The plant reseeds from an abundance of small, round seed pods produced with the flowers. In mild climates, nasturtium grows year round. 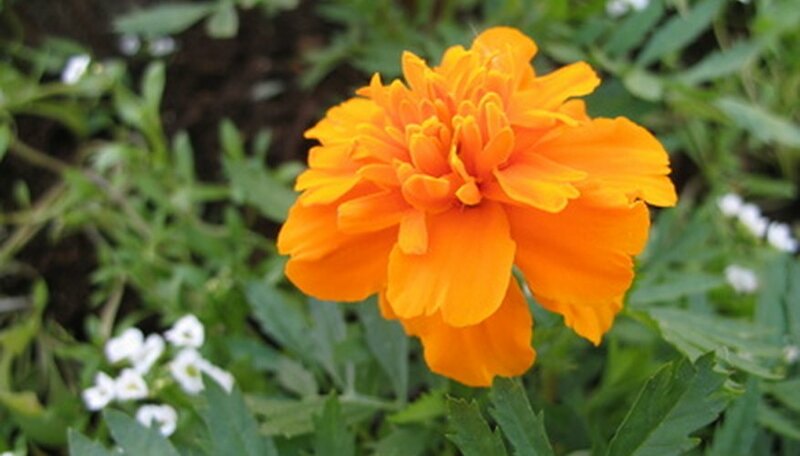 There are many varieties of marigold that can be planted as seed directly into the ground in June. Red Metamorph is a French type of marigold with distinctive red stripes. It grows as a thick hedge with flowers that are deep red and burnt orange. This is an heirloom variety that reseeds during the fall. Marigolds attract beneficial insects such as ladybugs. Moonlight is an all-white petaled marigold with a bright yellow center.